Home » Web filtering » White-list websites trough the Action menu. White-list websites trough the Action menu. 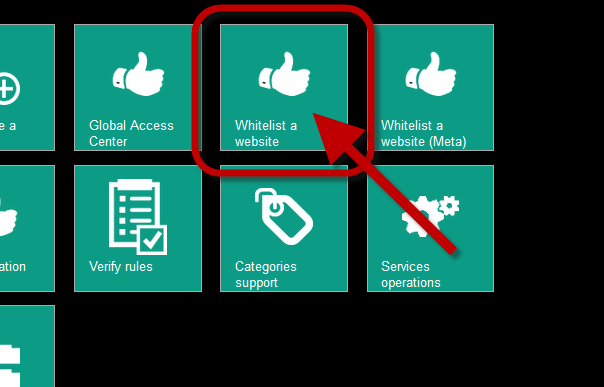 The Action Menu allows you to add websites directly in whitelist database. Click on New Website to add a domain ( without the www. ) in the list. 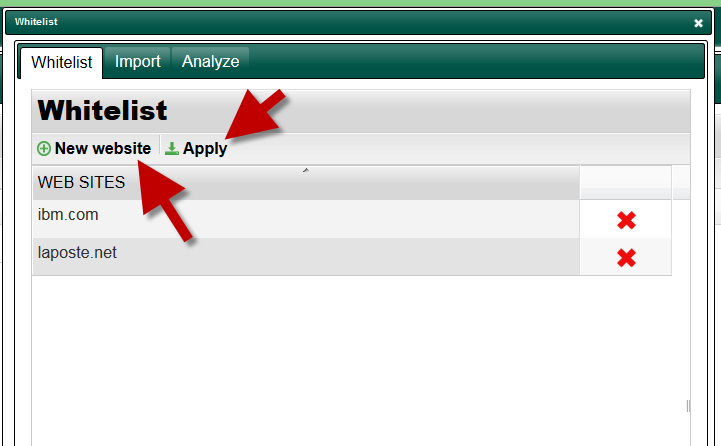 When adding all necessaries websites, click on Apply button.